I didn’t happen upon Wonderstruck Enchanted by accident. It was actually somewhat pushed on me by a well-meaning sales associate who said it would suit me. Wonderstruck Enchanted. In case you weren’t tired of looking at Taylor Swift yet. I am. In Bottle: I was underwhelmed when I smelled it prior to application. It had the hallmarks of faux vanilla and too sweet berries. Applied: Well-meaning sales associate tells me Wonderstruck Enchanged was new, smelled fresh, clean, sweet and that it would suit me quite well. I was a little perturbed by that assessment, but figured I would try it anyway. Upon application, the sweetness and faux vanilla make themselves known right away. It’s not outright plastic-smelling but it isn’t natural. The sweetness is dialed way up in this to the point where my teeth felt like they needed to be drilled and filled in. And by the time I had walked away from the fragrance counter, gone home, went for a jog, showered then sat around for a few hours–I could still smell the sweetness on me. It clings like a powerhouse. Wonderstruck Enchanted isn’t special or unique. To me, it’s like a pile of berry candies coated with a vanilla air freshener. It’s just unappealing and kind of a mess. And unfortunately for it, it’s strength and longevity make it last an absurd amount of time. It wasn’t until I woke up the next morning did I finally rid myself of the cloying sweetness. Extra: Wonderstruck Enchanted is obviously the flanker for the original Wonderstruck. 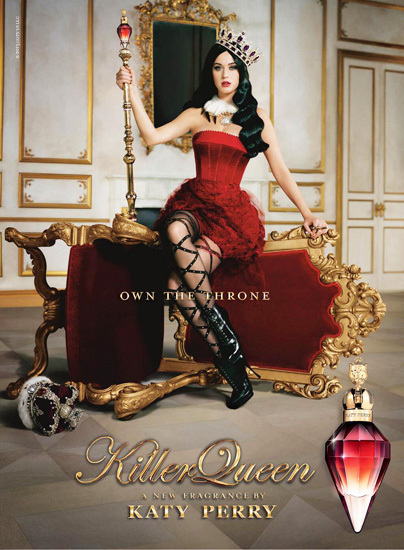 It was released in 2012, and I really wish they had taken some time to think about it a little bit more because the fragrance manages to be both uninspired and messy. Design: Similar shape to the original Wonderstruck. It’s red this time instead of just purple and features some slightly different charms around the neck of the bottle. I like the ornate cap, but that’s really about all I can say for it because every other design detail is clearly aimed at a younger audience. Notes: Passionfruit, berries, poppy, freesia, peony, champaca, sugar, musk, woods, vanilla. Well, there you go. A few months go by and I get this urge to write about a celebuscent and Wonderstruck Enchanted just had to be it. It really wasn’t anything special and I found it mildly annoying that Taylor Swift was every where I looked. But hey, at least it wasn’t Lady Gaga again. Reviewed in This Post: Wonderstruck Enchanted, 2012, Eau de Parfum. In Bottle: Wow, tuberose. I get a very strong floral presence that’s predominantly tuberose. Applied: Yikes. Tuberose. I know this scent gets compared to Fracas–the cheeky Tuberose Queen and I definitely get that impression. Truth or Dare opens up with a powerful hit of sweet tuberose followed with a barely-able-to-contain-itself gardenia note that furthers the floral interpretation. The fragrance is so sweet and floral that it obliterates any other smell to my nose can pick up and starts to smell like plastic a couple of minutes into wear. By the time hour two rolled around, I was trying to scrub it off because I smelled overwhelmingly like plastic. And of course, like with most fragrances that don’t agree with you, this just wouldn’t come off. So I did the only logical thing; I sprayed some more on, in a different location, went home and sat out the fragrance so I could at least take notes on it, review it, and never touch it again. The longevity is fairly good, lasting quite a few hours on me before it tried to exhibit any other kind of personality. Truth or Dare gets a bit less tuberose near the end of its mid-stage and focuses a bit more on this nice creamy, vanilla with some plastic stretched over it. But for as long as I could still smell it, there was that sweet plastic tuberose note dominating the entire scene. Extra: Truth or Dare was launched earlier in 2012. The fragrance was composed by Stephen Nilsen. Design: I can’t say I see the beauty of this design. The bottle is a white glass, but looks like it’s made of plastic until you touch it. The cap is a gold plastic, molded with these little studs, it looks a bit inappropriate and doesn’t quite do the fragrance any favors. All right, I admit, the thing is downright ugly. I think those studs or raised bumps on the bottle are taking it from “plain but looks all right” to “fugly” territory. I’m just a fan of the aesthetics this time. Notes: Neroli, gardenia, tuberose, jasmine, benzoin, lily, vanilla, amber, musk. I was actually hoping this one would work out, having heard how classical it was supposed to be. Having heard how similar to Fracas it was. But unlike Fracas, it overdoes the tuberose and not in a good way. I think I’ll stick to Fracas. 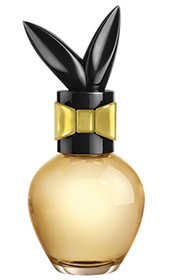 Reviewed in This Post: Truth or Dare, 2012, Eau de Parfum. I will forever associate Jessica Simpson fragrances to that line of supposedly edible perfume that I have yet to taste for myself. People have reported they taste like varying degrees of fake vanilla flavor though. Anyway, this post isn’t about edible perfume. It’s just about Jessica Simpson’s newest fragrance, Vintage Bloom. In Bottle: Smells fruity and floral. I know this is being pushed as a pure floral, but it smells like a standard fruity floral to me. Applied: Yeah, big old fruit. I want to blame it on the combination of citrus and raspberry. There’s also more florals in this than peony. I want to say rose and jasmine with peony to make the trifecta of floral boredom. The end game is also largely typical with a clean sandalwood fade. The fragrance as a whole is dull but very wearable. It’s a nice neutral scent for a younger crowd that wants to smell nice and not controversial or complex in any way. It reminds me of–well, of a lot of other fragrances that smell exactly like this–all of which also fall into the celebuscent category. Chances are, if you own anything with another celebrity’s name on it that leans more towards “smells like flowers” than “smells like fruit” or “smells like candy” then you don’t need to buy a bottle of this. If you own any of Bath and Body Works’ latest floral releases then you don’t need a bottle of this. If you are missing a “smells like flowers” celebrity fragrance and feel like you need a little more Jessica Simpson in your life then you could do worse than Vintage Bloom. Extra: I always feel like I have to write in a disclaimer for fans of these celebrities that no, Jessica Simpon/Paris Hilton/Britney Spears did not become perfumers overnight and mix their own fragrances in their bathtubs or whatever. Vintage Bloom was actually made by Parlux. The people (with an unfortunate Flash website) who brought you other fragrances such as Rhianna’s Reb’l Fleur, Paris Hilton’s Can Can, and Queen Latifah’s Queen. Design: The bottle could look better. As it is, it’s one of those over-designed pieces that’s too ornate to be called simple, modern or elegant, and not ornate enough to qualify as extravagant. It kind of skirts that awkward middle where it doesn’t hit modern or “vintage”. It just looks kind of tacky and out of place and I can’t say I’m a big fan. Notes: Lemon, lime, raspberry, peony, sandalwood, musk. Remember when Jessica Simpson actually sang for a living instead of selling perfume with her name on it? Or embarrassing herself on a reality TV show? Is she even still singing? I’m about as up to date with music as I am with television and movies. 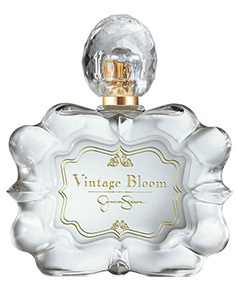 Reviewed in This Post: Vintage Bloom, 2012, Eau de Parfum. As I’m looking at the couple of drops I have of this thing, I’m currently contemplating the amazing fact I just read on Perfume Posse. Paris Hilton–she of the Reality TV, zany antics, and Hilton Empire stardom–has sold $1.5 Billiondollars of perfume. That makes me just a little bit sad. In Bottle: Light and citrus with a bit of cedar and a little touch of sweet flowers. Whoo hoo. Applied: Forgive my lack of enthusiasm for this one. I’m still reeling (two days after the fact) over the sum of money Hilton’s made on stuff like this. It’s not bad by any stretch of the imagination, but in the same vein, it’s not good either. In fact, it’s only not bad because it strikes a dull chord in my nose and tells me it’s all right, but if I want to be wooed and I’m not already swooning then I ought to get out of its way. Passport Tokyo’s mild and sheer citrus layer is joined by a sweet apple-like scent that blends into a really limp sweet floral woodsy fragrance that smells like it’s been diluted a couple of times. On the one hand, I’m glad the cedar isn’t assaulting my nostrils. On the other hand, I’m really disappointed by how toothless this is. Don’t let the repetition of the word ‘sweet’ fool you into thinking this is going to give you amazing amounts of sweetness. The whole affair is really light and mild. 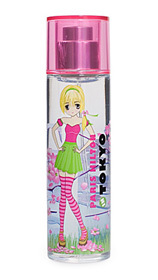 Extra: Passport Tokyo was released in 2010 as a part of the Passport series of fragrances. The other two in this line were Paris and South Beach. Design: Kind of garish and seems to be marketed at a much younger crowd. The bottle is clearly not aiming for luxury, but rather for fun. However, I just don’t think an EDT should ever look like that as it’s much more of a body spray packaging choice than something for an actual perfume. Notes: Lemon, apple, frangipani, orange flower, jasmine, iris, sandalwood, cedar,musk. Passport Tokyo’s a bit forgettable and I wouldn’t even really recommend it to anyone interested in a light citrus scent. It just smells watered down. And, come on! $1.5 Billion! Sorry, still can’t get over that. Reviewed in This Post: Passport Tokyo, 2010, Eau de Toilette. After buying some candles at Bath and Body Works, I found that I had a choice of a free item. So I wandered about the store and picked up the Coconut Lime Breeze fragrance and gave it a sniff. Its similarity to Coconut Lime Verbena is probably not a coincidence, but the two aren’t exactly alike. 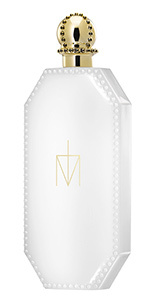 In Bottle: Sharp citrus scent with an equally heavy layer of coconut. Applied: Pretty much the same impression I got in the bottle. There’s a stronger citrus element in Coconut Lime Breeze than compared to Coconut Lime Verbena. The fragrance opens with a rather strong blast of lime followed by a bergamot and citrus zest scent. It digs more into its coconut notes in the mid-stage where I get the occasional waft of florals and vanilla. The stars of this scent, though are quite obviously the coconut and the lime, with a little more emphasis on the lime. That is how the scent starts and that is how the scent ends–with the classic blending of coconut and lime. Now, I love coconut anyway, and clean coconut tends to behave a bit better to my nose because the clean or sharp element helps mask the often synthetic smell. There is a harshness to this fragrance though. It’s not a game-breaking harshness like the overuse of cedar in some perfumes. The harshness here has to do with the lime being a bit aggressive and astringent. There’s not much in the way of progression as you will start with a sharp lime and coconut scent and end with a softer lime and coconut scent. It’s a good combination, there’s a reason why musicians have lyrics to the combination of coconut and lime and it’s because they work well together. Extra: Coconut Lime Breeze–much like many of Bath and Body Works’ many other successful fragrances was released to replace the discontinued Coconut Lime Verbena. Again, there are some differences between the two. Coconut Lime Verbena focused a bit more on the coconut note and was overall a softer fragrance. Coconut Lime Breeze has a sharper, stronger citrus note and is a bit more noticeable at first. At least, that’s how it is to me. Design: I was delighted to see Bath and Body Works had changed their body spray packaging from the somewhat boring curvy bottle to be more similar to Victoria’s Secret’s Beauty Rush bottles. We now get a straight cylinder with a metallic cap and a unique design wrapped around the packaging. The bottles feel heavier, feel smoother and generally looks much more professional. Nicely done, Bath and Body Works. Notes: Tangerine, lemon, neroli, lime, bergamot, melon, muget, pineapple, jasmine, lime blossom, coconut, sandalwood, vanilla. I like the stronger citrus in this than Coconut Lime Verbena. In terms of similarity, the two are alike enough to satisfy people looking for a citrus and coconut combination. But if you were looking for the exact same fragrance, you may have to look up stray bottles of Coconut Lime Verbena, as there is a noticeable difference between these two. And if you were looking for a more subdued interpretation of coconut and lime and have money burning a hole in your wallet then Creed’s Virgin Island Water is still one of the best coconut-based fragrances I’ve smelled so far. 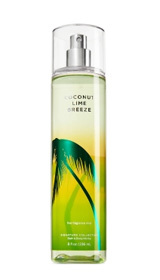 Reviewed in This Post: Coconut Lime Breeze, 2012, Body Mist. If I were ever in the position to have a fragrance made for me, I’d probably be unimaginative enough to just call it, “Me”. It’s really too bad Heidi Klum already beat me to it. In Bottle: Fresh is probably the one and only word I’ve got for Me. The melon is pretty prominent to my nose along with the clean florals in the middle. Applied: It’s got a nice blast of fruitiness that mellows into this juicy, clean melon scent which does a nice job eventually moving into an also pleasant and clean floral mid-stage that’s marked with a bit of sparkle and shine. There’s nothing so bold as an aldehyde in this, but the musk couldn’t be anything but white and the woods and vanilla couldn’t be anything but scrubbed with all impurities removed before being bottled. Me is quintessentially young, clean, and fresh. It’s a nice, mild-mannered scent for everyday wear. 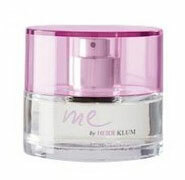 Extra: Me was released in 2006 and hasn’t really garnered as much success as some celebrity perfumes. It seems to occupy that dark corner of celebrity fragrances where the lesser known perfumes with celebrity names hang out. Design: Me isn’t very pretty. It’s actually rather bland in aesthetic and a little bit clunky too. It’s bottled in this roundish container with a standard baby pink cap that doesn’t do much for it’s appeal. It’s not ugly, not pretty, and ultimately not very memorable. 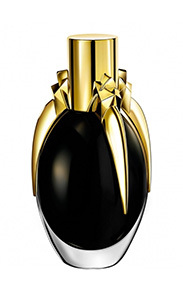 Notes: Blackcurrant, apple, melon, pepper, violet, water lily, jasmine, plum, woods, sandalwood, vanilla, musk. If you want a well done fresh melon and floral scent, then Me is your stuff. You can actually buy this stuff on the Heidi Klum website. Enjoy. Reviewed in This Post: Me, 2006, Eau de Parfum.